Miltenyi Biotec offers consistent, high-quality media for successful cell culture in stem and tumor cell research, neuroscience, and immunology. From expansion to differentiation media, MACS Media are designed and quality tested for reliability and efficiency. 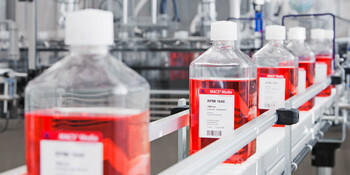 Whether you are performing basic or translational research, Miltenyi Biotec develops specialized cell culture media, so you can get a head start in your experiment. 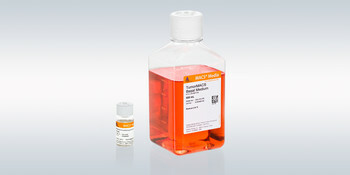 Ready-to-use cell culture media for xeno-free and serum-free PSC, HSC or MSC expansion, as well as numerous applications including differentiation and enumeration assays. 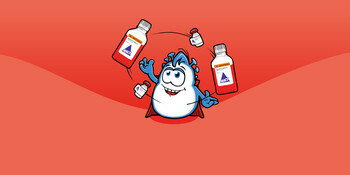 Cell type–specific formulations for immune cells, neural cells, tumor cells, and production cell lines; based on high-quality ingredients, ensuring reliable performance.